It is our innovative technology, superb driving comfort and fascinating design that have made us winners. Now, you too can enter the Premium Coach Hall of Fame with us. We have been making history since 1935. 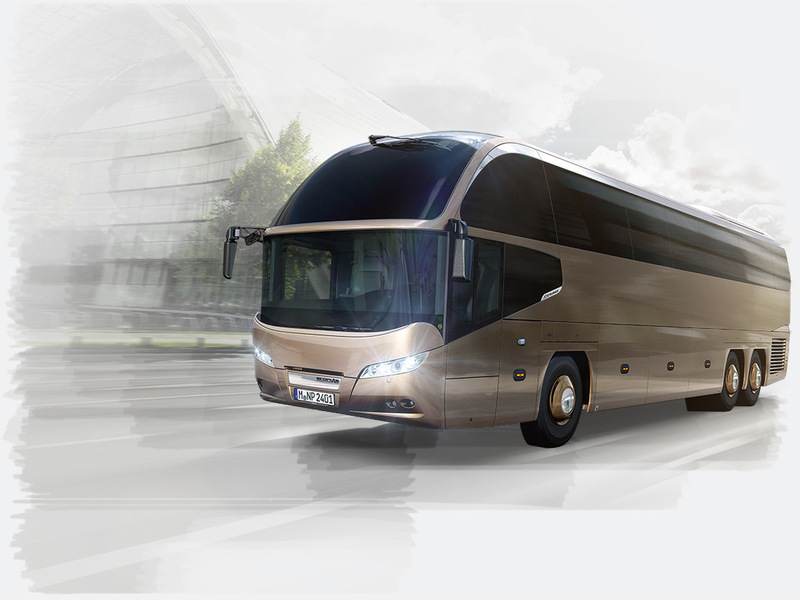 Whether as the inventor of the touring double-decker, pioneer of passenger-friendly low-floor technology, developer of the 15-metre class vehicle, or as a pioneer of high-decker designs, over the past 80 years NEOPLAN has gained a reputation worldwide for its trend-setting technology, fascinating design and exclusive brand. If we had to name one main reason for us winning so many awards, it would have to be our passion for progress via innovative ideas, which has remained with us throughout our history. 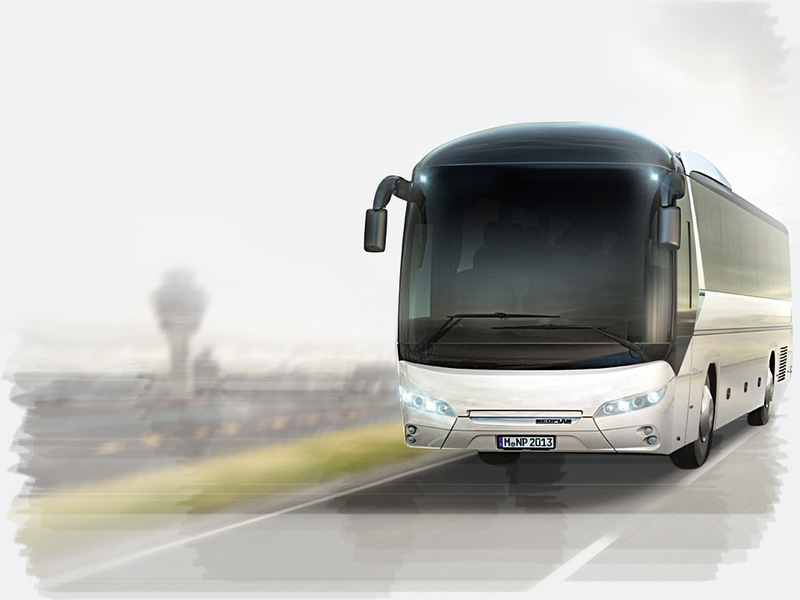 Join us in the Premium Coach Hall of Fame and you too can experience the NEOPLAN Spirit! 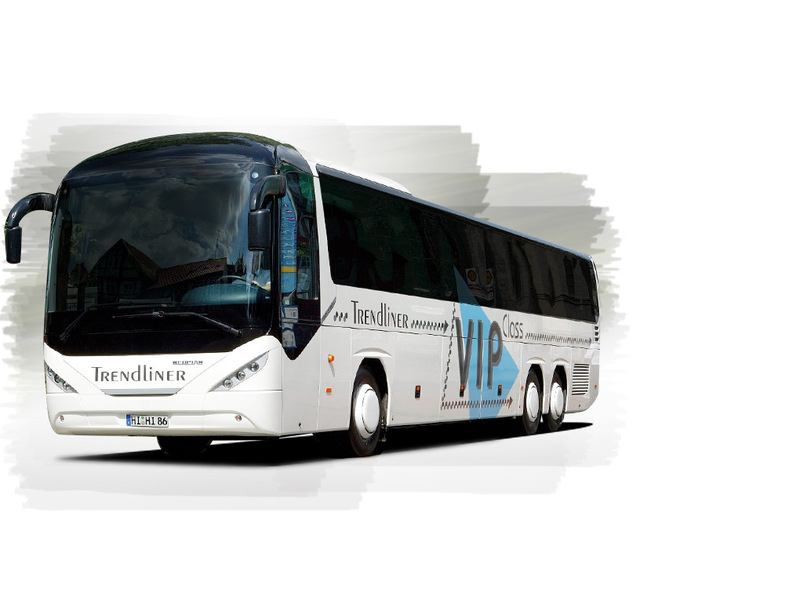 With the NEOPLAN Tourliner, appearance and functionality go hand in hand. In addition to its performance and economy, this iF Design Award winner also particularly impressed with its groundbreaking aerodynamic design. The jury marvelled at the dynamic curves of the domed front with its ‘comet-like tail’ extending into the roof, the multi award-winning NEOPLAN classic sharp cut design and the redesigned headlights. 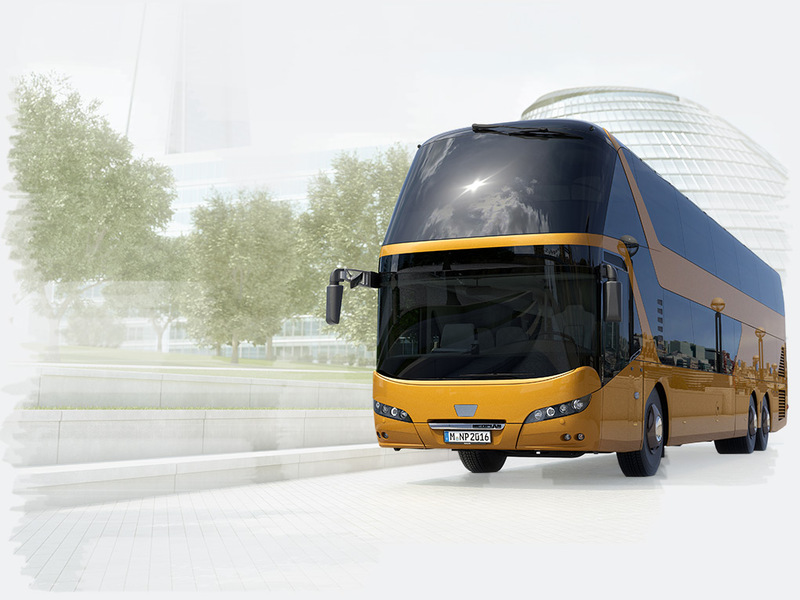 Winner of the International busplaner Sustainability Prize: Thanks to its unrivalled aerodynamics, the double-decker coach doesn't only have extremely low fuel consumption – it also has the lowest CO2 value per person kilometre travelled, which proves that the Skyliner is more environmentally friendly than any other means of transport in its class. Skyliner’s long-distance package is an ideal combination of comfort and economy. The side windows, which extend all the way up to the roof, and its continuous glass roof create a wonderfully spacious ambience. The double-decker also scored the highest number of points in the repair shop test. A deserving winner of the IBC Award 2016. 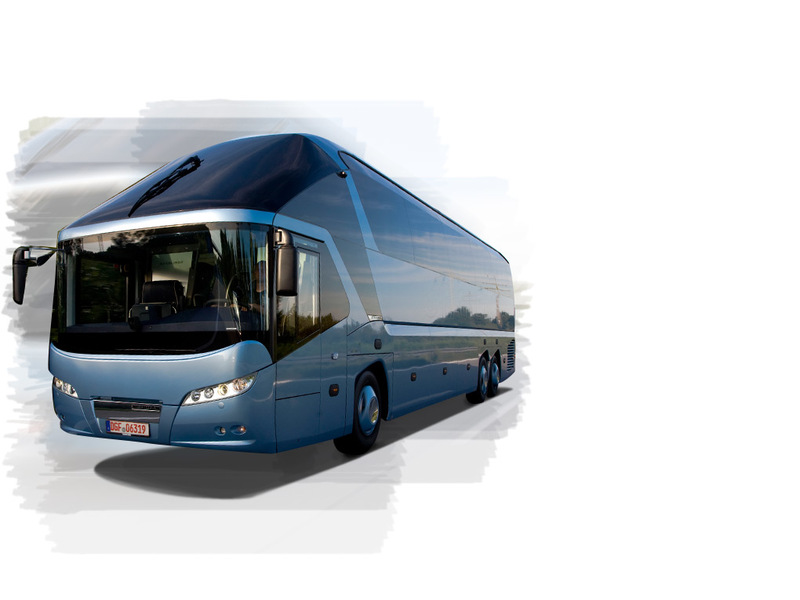 With its comfortable 2+1 seat arrangement, vast interior space and excellent driving comfort, the NEOPLAN Tourliner L was the well-deserved winner of the IBC Comfort Award 2015. 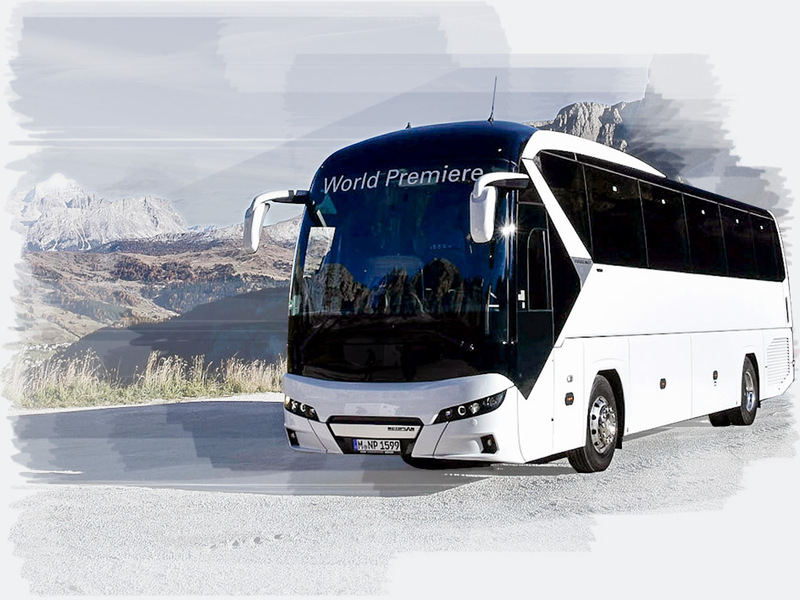 Its excellent Sharp Cut design and no-nonsense appearance don't only make the NEOPLAN Jetliner a vehicle of unmistakable character but also contributed to its being awarded with a "Special Mention". 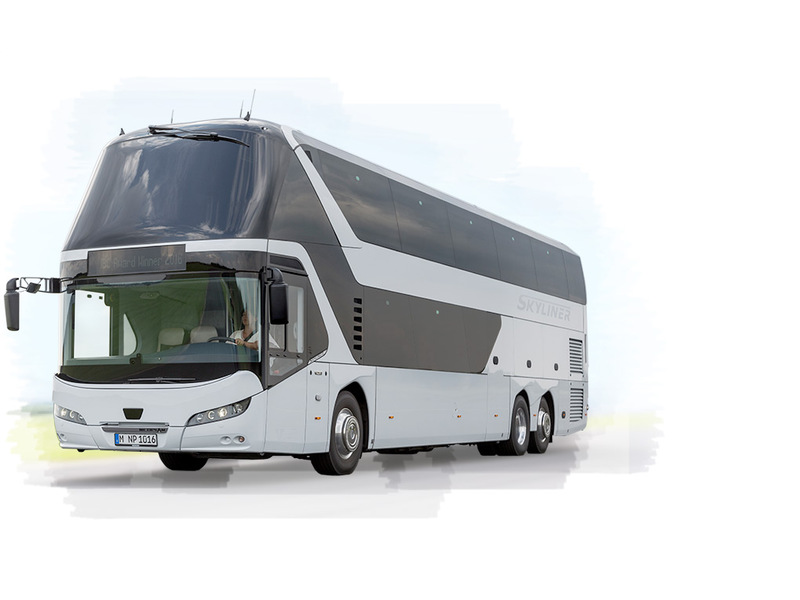 Introduced in 1967 as the world's first double-decker long-distance coach, the NEOPLAN Skyliner is still an impressive sight thanks to its exclusive Sharp Cut design and well-lit interior layout. 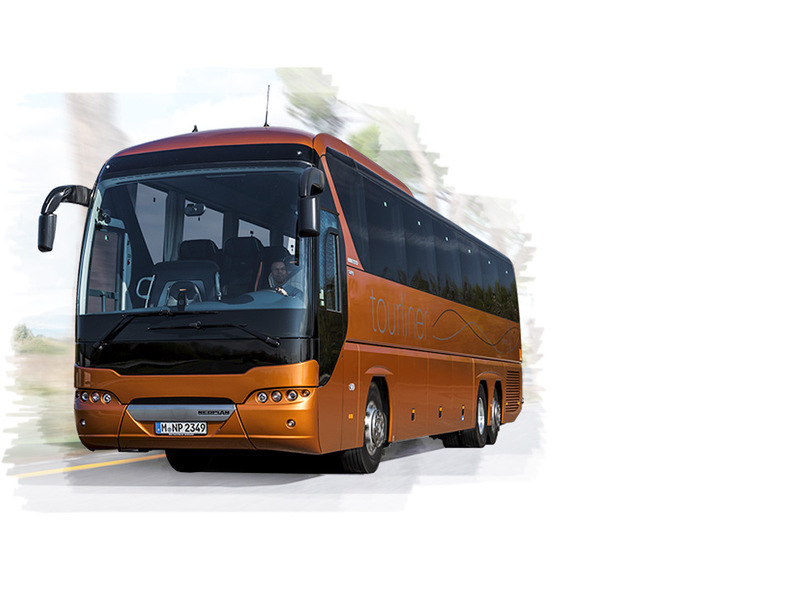 The NEOPLAN Cityliner blends state-of-the-art engineering with high levels of utility for customers in an eye-pleasing manner, featuring future-oriented design that consists of plain elegance and dynamic styling. Engineering innovations, a standard-setting lighting concept as well as cutting-edge safety and assistance systems served as a basis for the NEOPLAN Starliner being awarded for the third time. Boasting “gunsight” looks, the split windshield constitutes the main highlight of the Starliner's appearance. 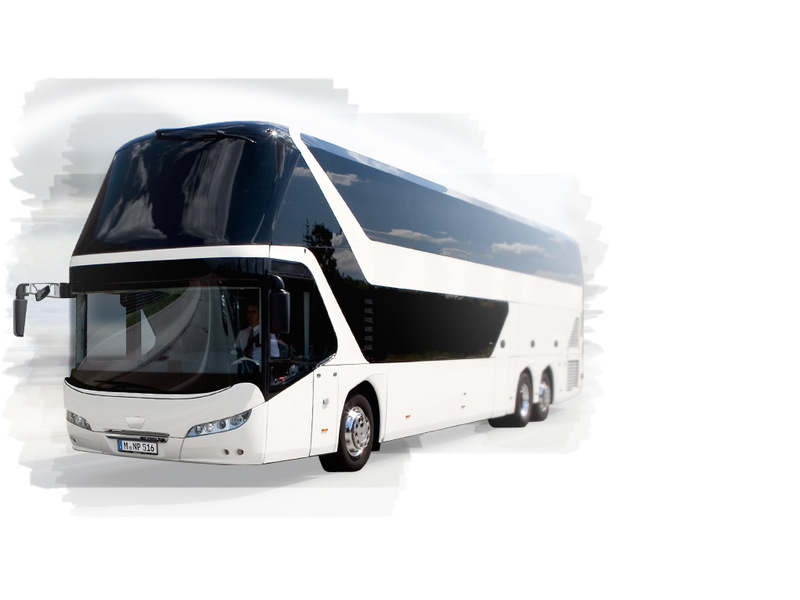 This has evolved into a common design trademark of NEOPLAN premium touring coaches and does not only impress passengers. 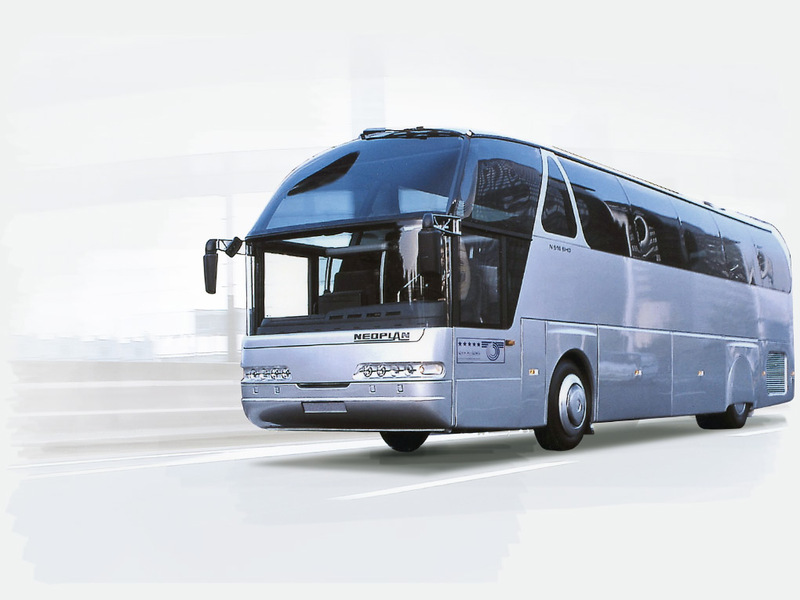 Its impressive design made the NEOPLAN Trendliner premium touring coach such a success that also a 13-metre-long two-axle version was added later on. 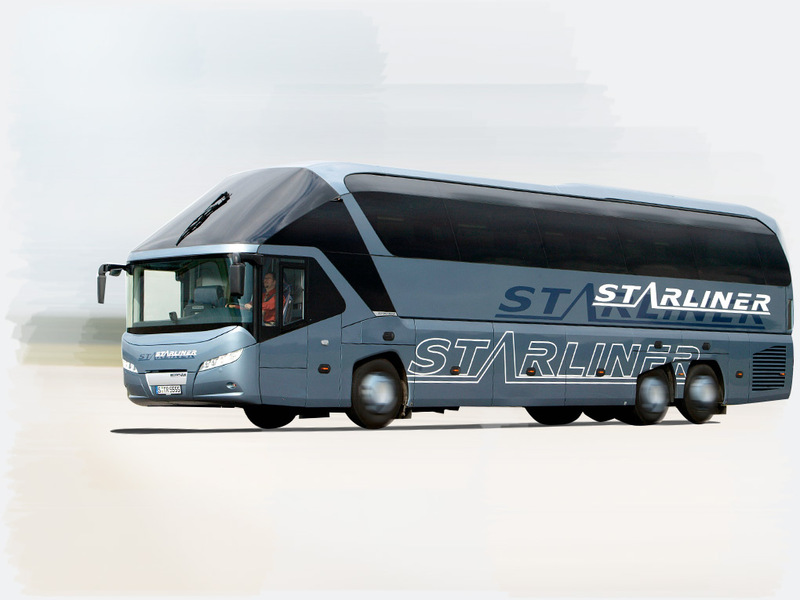 The combination of impressive design, extraordinary levels of passenger comfort and utmost standards of safety clearly identifies the NEOPLAN Starliner as a top-of-the-range touring coach. 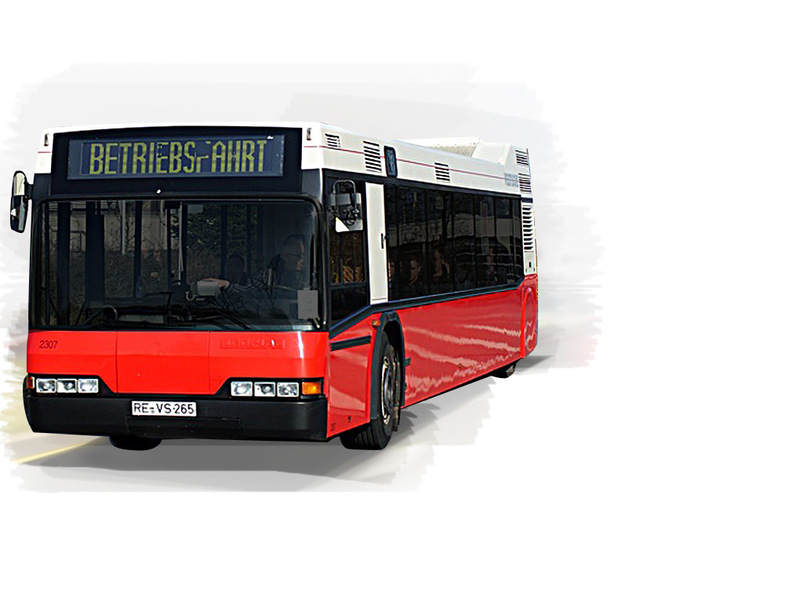 Excellent manoeuvrability despite a long wheelbase and a fully flat passenger compartment floor – two important features that distinguish the NEOPLAN Metroshuttle among low-floor buses. 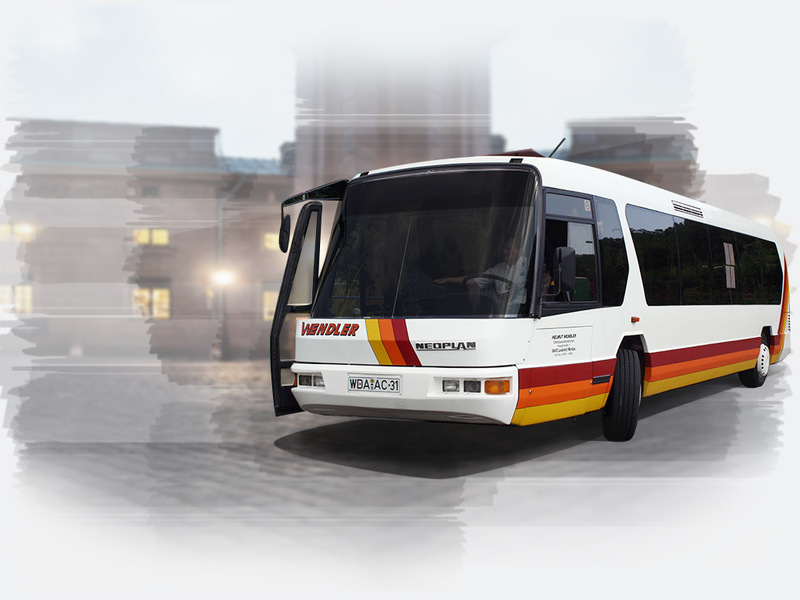 The world's first cantilever bus passenger cell made of fibre-reinforced composite material allows for a weight reduction of almost 40% and makes the NEOPLAN Metroliner a benchmark in bus industry already today.